New Delhi, Apr 10 : Congress Vice President Rahul Gandhi on Thursday cast his vote for the Lok Sabha elections in New Delhi. 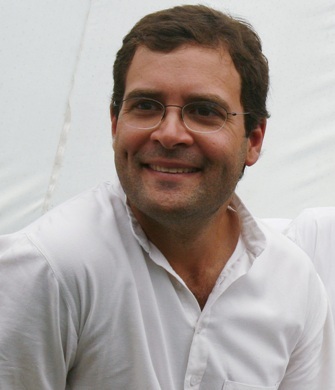 Rahul, who was accompanied by former Union Minister Ajay Maken, cast his vote at a polling station in Aurangzeb Lane. Voting is underway for 91 seats in 11 states. People are voting in Chhattisgarh (1), Haryana (10), Jammu and Kashmir (1), Jharkhand (5), Kerala (20), Madhya Pradesh (9), Maharashtra (10), Odisha (10), Uttar Pradesh (10), Bihar (6), Delhi (7), Andaman and Nicobar islands (1), Chandigarh (1) and Lakshadweep (1).